Attributed to the Master Carver Pierre-Gaston Brion (born 1767). 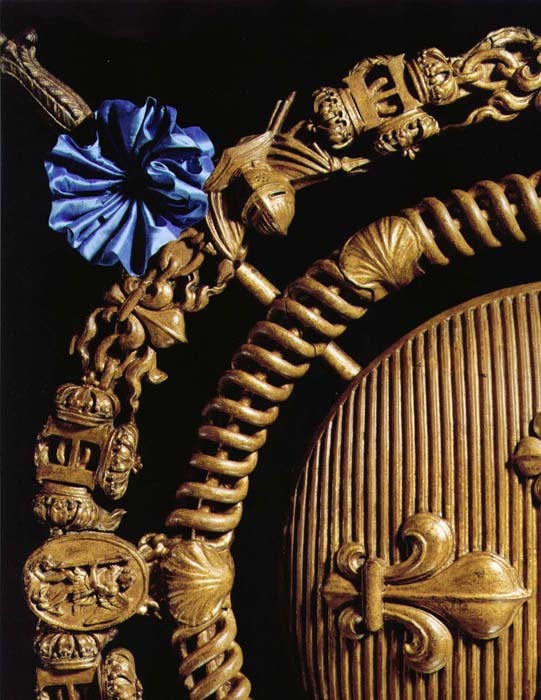 A remarkable ROYAL coat of arms executed in carved walnut and retaining the original gilding and old patination. 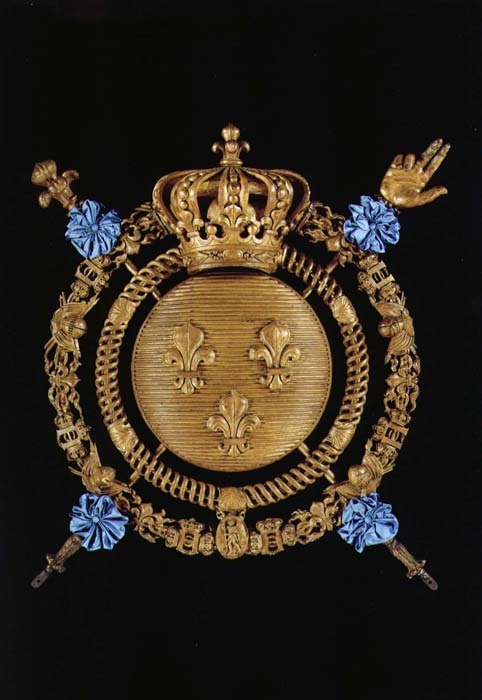 A couronnement was executed to go over the sovereign's throne or the Royal bed. We have found an example which was in the Tuileries Palace and situated in the King's bedroom around the year 1865. Also there exists a period print with an illustration of one over the throne of Louis XVIII after his coronation at Rheims. Pierre-Gaston Brion was working in the Tuileries Palace and was also instructed to furnish items for the sacre of King Charles X at the Cathedral in Rheims (Ledoux-Lebard, Les Ébénistes du XIX Siècle, Editions Nobèle 1965, p. 104). He was a master carver and worked in conjunction with the Jacob Family. 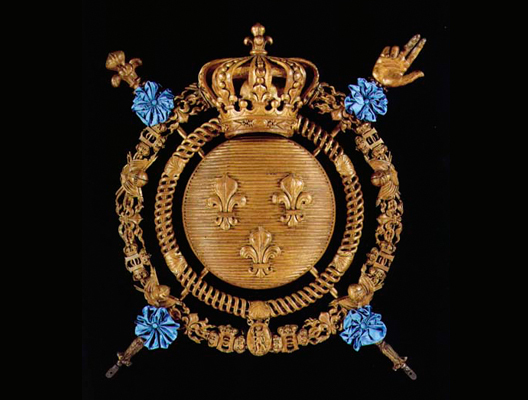 In 1824 Charles X asked Brion to carry out an important order for alterations to the state bed and he carved the new Royal Arms - executed in gilded and carved walnut.